Zhanna P. Rader, a librarian by education, was born and lived first part of her life in the Soviet Union (Russia, Soviet Georgia and Ukraine), as well as in Poland. She came to Athens, Georgia, USA, after marrying a UGA Professor. She has read three of her humorous stories on WUGA-FM, the University of Georgia Public Broadcasting. However, she writes mainly poetry, both in English and in Russian. Her first poetry publications in magazines appeared in 1986. Her haiku, senryu and other types of Japanese genre poetry were published in many countries. 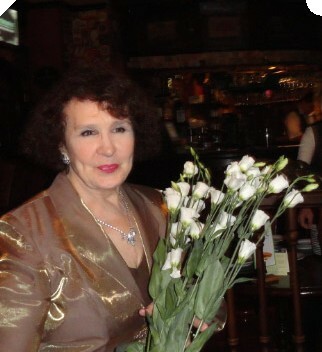 She is the Moderator of the Internet Russian haiku forum WHCrussian. She also moderates WHCpoemsforchildren, in English. Writing for children is what she is interested in the most. Right now, her collection of children’s poems about nature in Georgia, translated by her from her own collection in English, is under consideration for publication by Pushkin Fund Publishers in St. Petersburg, Russia.